Drop in and share the enjoyment of good books in an informal and relaxed atmosphere! Everyone is welcome, on every first Thursday of every month at 1:30p.m. Writers Dionne Brand, Frances Itani, Kathryn Kuitenbrouwer and Kate Pullinger read from their latest works. Ania Szado hosts. Dionne Brand is a poet and novelist and was Toronto’s third Poet Laureate from 2009–2012. Her most recent book of poetry, Ossuaries, won the Griffin Poetry Prize, and her literary honours include the Governor General’s Literary Award, the Trillium Book Award and the 2006 Harbourfront Festival Prize for her contribution to the world of books and writing. She presents her latest novel, Love Enough, about the love between lovers, friends and for the places we live in. It is a profoundly modern work that speaks to the most fundamental questions of how we live now. Kathryn Kuitenbrouwer is the author of the novels Perfecting and The Nettle Spinner, as well as the story collection Way Up, which won the Danuta Gleed Literary Award. She is also an award-winning instructor with the University of Toronto’s School of Continuing Studies. Her short fiction has been published in Granta, The Walrus, Numéro Cinq, Joyland and Storyville. Kuitenbrouwer presents All the Broken Things, a spellbinding novel of exceptional heart and imagination about the ties that bind us to each other. In 2014, CBC called Ania Szado one of "Ten Canadian Women You Need to Read." Her short fiction has been nominated for the Journey Prize and the National Magazine Awards, and her bestselling novel Studio Saint-Ex has received international acclaim. Szado's debut novel, Beginning of Was, was regionally shortlisted for the Commonwealth Writers' Prize. Frances Itani discusses Requiem. ; Carmen Rodriguez discusses Retribution. ; Anita Rau Badami discusses Tell It to the Trees. Frances Itani , Remembering the Bones. Water Street Bookstore hosts a book group discussion held at the Loaf and Ladle one Sunday of each Month at 3 p.m. This month's selection is Remembering the Bones by Frances Itani. Please join Liz Whaley for a great discussion on Sunday. For more information call us at 603 778 9731. 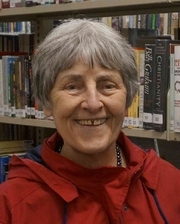 Frances Itani is currently considered a "single author." If one or more works are by a distinct, homonymous authors, go ahead and split the author. Frances Itani is composed of 2 names. You can examine and separate out names.